Normally I bake ciabatta, and have only made sourdough a handful of times. Looks good to me. Bit more info though. New starter, made past sunday, and I would like to make bread with it this sunday. I'd like feedback on if you think it has leavening capabilities, and if not what I should be doing to it so that it is ready for when I wish to bake on sunday. From what I've seen it should have large bubbles, and should cling to the spoon if you are trying to scoop up a spoonful. While you're doing that conduct a side experiment. Take 20g starter and feed it 60g water + 100g bread flour. Knead then place into a small jar. See what happens. TBH it's still young and looks very hydrated. What is a typical feed? And how warm are you keeping it? I will conduct your suggested experiment. We've had some really warm sunshine in the UK so i've kept it upstairs on the window sill. My bedroom gets quite hot during the day as it faces the sun. Wouldn't be sure of exact room temperature though. I've just gradually increased it's feed (previously 50g flour and 50ml water) now to 100g flour and 100ml water, although I went half water and half apple juice in the last feed because I thought it might give it a boost. Thanks for your help, like I said i've only ever made ciabatta using a recipe from this site (worked excellently by the way) so I'd love to try to make Sourdough. I'll take a video when I get home stirring it to give you an Idera of the texture. I live in London. It has been unusually warm for us. How much starter do you keep for each feed of 100g of water and flour each? When I spotted your name as Abe I pictured an American, Lincoln I suspect. I'm not sure, I will weigh it next time to let you know, do you think I could be not feeding it enough? I could probably roughly calculate it. It would have started at a total weight of 100g. My room temp is 25 degrees at 9pm. I've started you're experiment as well. Your not you're sorry it's predictive text on my phone. Or do you take some starter off, discard, and then feed? To me it looks like the feeds of fresh flour to starter aren't big enough. But before you change anything let's see how the experiment goes and get a clearer picture of what you've been doing. Ahh I see, that would be fun. Ahh I see, that would be fun. Did you study politics or history? Hence the name choice? The results of your experiment: the mix started out a quite a stiff stodge, it has now loosened up and has doubled in volume. The jar was half full and now has almost reached the top. No small frothy bubbles, but larger bubbles that very slowly rise to the surface then pop. Yes adding with each feed I've not discarded half yet. Have you tried freezing half I have used really old yeast kept in the fridge to make bread and it's worked. Sounds like your starter is good and the reason why you experienced a very thin batter with small frothy bubbles is because of the feeding maintenance. With each feed ratio getting smaller the fermented starter ratio was increasing. As it ferments it becomes more liquid. With poor feeds the yeast population will also suffer hence the sour smell. So what you want to do is find a small glass jar with a screw top. Clean it well. Transfer 30g starter into the jar and feed it 60g water + 60g flour (30g each of bread and whole wheat flour). Cover the jar but don't tighten the lid. Loosely fitted so air can escape but it's covered and won't come off. When it has peaked and matured then feed again. Keep 30g starter each time and feed 60g water + 60g flour. It's a good idea to weight the jar first empty so you know how much starter is in there. Reason being is because starter loses weight when fermenting so if you keep taking off 60g it'll eventually be whittled down. Keep this up for the next two days and if it keeps on going from strength to strength then come Saturday night but a levain from the discard and aim to try a recipe on Sunday. 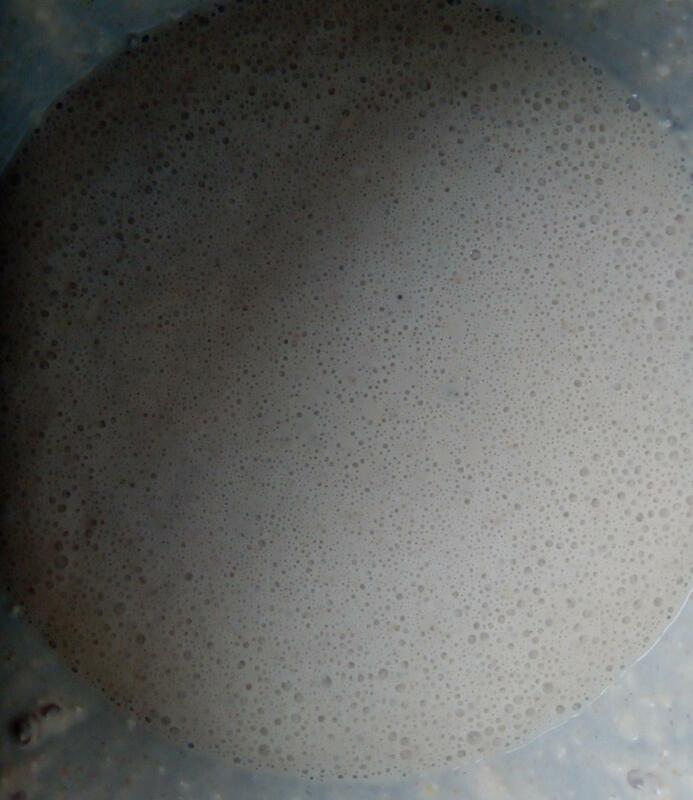 Procedure for sourdough starter is to feed it (or build a levain) and use when nice and active. Once active and bubbly it can be kept in the fridge and used within a few days but beyond that it should be given another feed before using. Have you got a recipe in mind? I did various studies but it was also a bit of a gap year. Ok thanks will do, ilI' store the rest in the fridge. Thanks for the informative replies, and your patience I'll keep you updated and hopefully have a picture of a nice loaf to show you by Sunday. I might try the recipe you've recommend, I would like to try baguettes (someones brought a proper shaped tray for me) but baby steps first! I was also looking through the river cottage bread book and another bread book I own. I would love to do something similar, only been to Georgia in the US .